Despite the hype, Precious director Lee Daniels still isn’t sure what to make of his film’s Oscar chances. 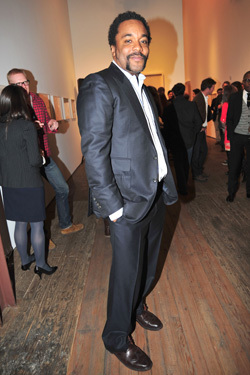 “It’s very scary, and I’m nervous,” he told us last night at the Details/Piaget Men to Watch in 2010 party at the Lehmann Maupin Gallery. “They said, ‘How are you gonna market the movie?’ And we got Oprah and Tyler. And then they said, ‘Well, you’re not gonna do well in the box office.’ And then we did unbelievable at the box office. And then they said, ‘You’re gonna get nominated for something.’ Aaah! So, what if they’re wrong?” In a bizarre way, though, Daniels says he’s already won.